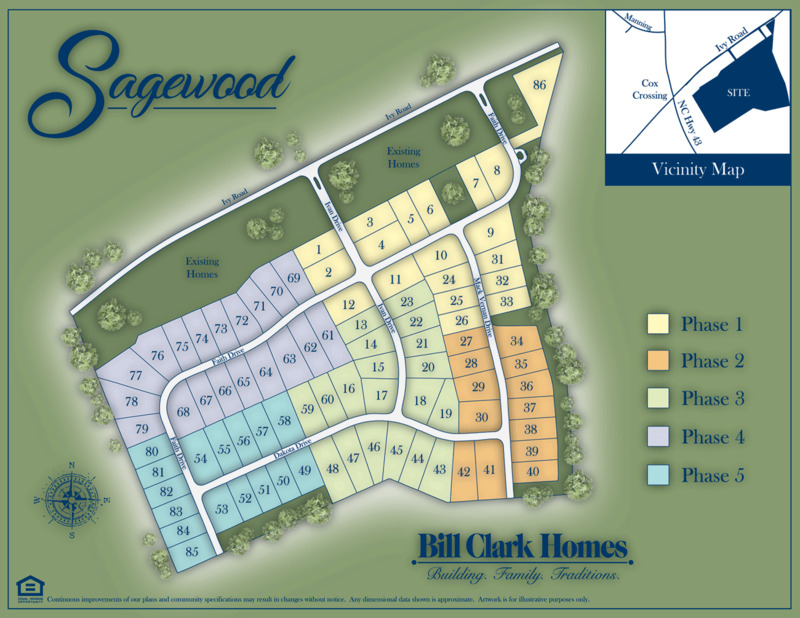 Welcome to Sagewood. This lovely neighborhood of craftsman style homes is in the sought-after school districts of Chicod and D.H. Conley. 100% USDA financing availability. Starting in the 180’ and ranging in square footage from 1,550 to 2,585 there is a perfect plan for everyone! The Southeast Greenville location is excellent for those working in Greenville or Winterville- New Bern and surrounding areas and a quick 10-minute drive to shopping and local restaurants. From Greenville take Hwy 43 towards Vanceboro, left on Ivy Road the Sagewood Community is immediately on the right.